For almost all of my tutorials, I always promote the use of flower food in the water that the florist foam is soaked in. However, I usually skip this step when designing with Christmas greenery. Flower food can turn some greens yellow early - and the goal is for the greenery to last a long time. Many times the greens (if kept watered) can have the fresh flowers removed and others added and the greens continue to hold their scent and color for a long while. I do urge you, however, to use flower food in the water that the cut flowers are rested in after being cut from a dry pack stay. 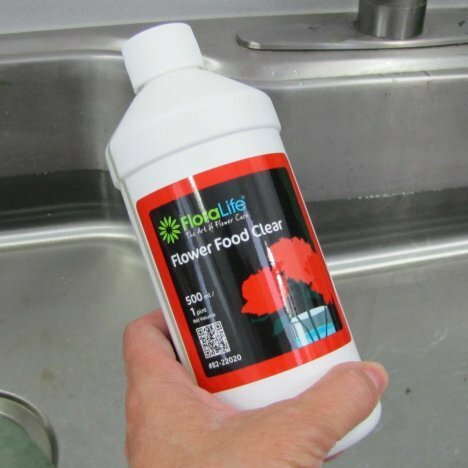 This will nourish the blooms and keep them healthy for as long as possible! I always use Oasis florist foam. I've seen some "one time" experiments online with competitor foams that claim Oasis doesn't last as long. However, years of experience in professional flower shops using different brands of floral products convinces me that Oasis is the brand that I always trust my own designs to. This is NOT because I'm paid to say it - it's because it's what I use! Keep in mind that buying foam from a wholesale floral supply is usually a guarantee of faster overturn of product. Buying florist foam that ends up in "dollar" stores or is held on a shelf for a long time in a discount store may age a product and degrade the ability of the foam to absorb water properly. 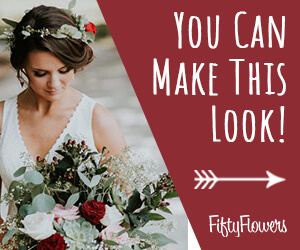 This is why an E-bay "bargain" may not always be the bargain you want to trust your precious wedding flowers to. I once had a sad bride concede that she bought a large supply of bouquet holders from E-bay that "floated" . . . but never fully absorbed the water as it was supposed to. Discoloration of the foam doesn't mean the foam won't hold water, but aged products bought as closeout stock always have a chance of having some degrading of the foam. 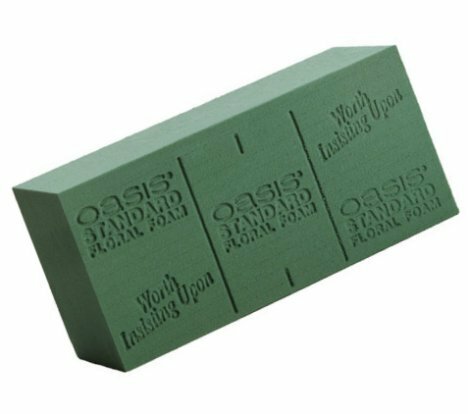 Always "float soak" the Oasis foam, allowing it to sink gradually in fresh, clean water. Never force foam under water, as this can create dry pockets that spell death to the unfortunate flower whose stem ends up in that pocket! 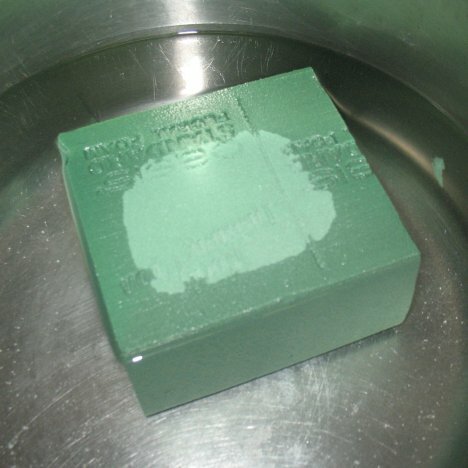 It only takes a few minutes for the foam to fully absorb the maximum water it can hold. 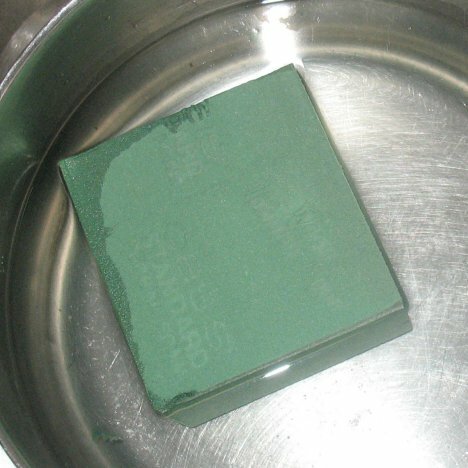 A single brick can hold up to two quarts of water - so you can see what a great water source it is! 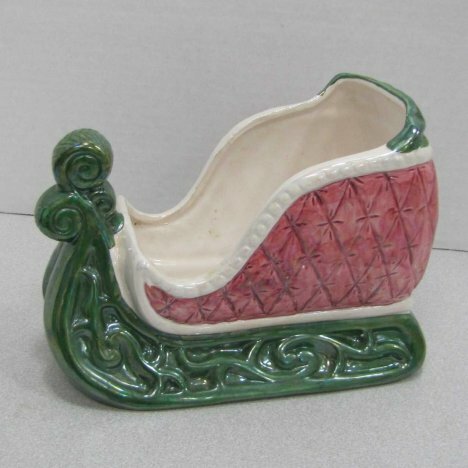 The bricks are scored in thirds for easy measurements with standard containers, but you may still have to cut and fit portions of bricks to fit special shaped containers like the Christmas sleigh shown below.